Google search on it and found your site. place to put it up? Any help you can offer to sell it? When you receive an e-mail like this out of the blue, you tend to be pretty suspicious. I e-mailed him back asking for proof of this prototype he got his hands on, images, scans, anything to show it existed. I e-mailed the owner back, trying to suss out any more details on the disc. I told him that yes, trying to put this on Ebay would almost definitely get the auction taken down, a private auction would be the way to go. 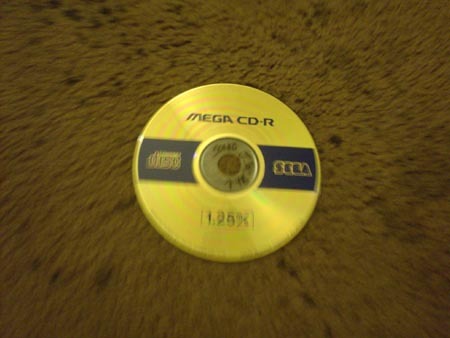 I tried to also get him to have a look at the files on the disc, see if there were any CPK files [Certain Saturn games use CPK compressed videos]. Lastly, I mentioned that the best I could probably due is to get a team set up to discuss what to possibly do with this prototype. He replied that he's "not worried about it not being legit" and that he'd "made a quicktime movie of myself playing it from boot up to end. It's a very small demo, not an actual level. It was made to show the press what Sonic would look like in 3D. He basically runs back and forth on a green field." Point out that this is from the demo he has. I originally tried to get this movie of him playing, and also mentioned that he should try and contact IceKnight from Sonic Database as he has more experience with dealing with prototypes. He once again declined to send me the video. Citing the deal with the kid playing his Father's Xbox 360 months before release being a major reason why he's being so secretive. He didn't want this to blow up in his face. He also mentioned that he personally destroyed every other copy of this disc [though this may have been a ploy to raise the price. It cannot be proven]. Again, very skeptical about the image. The image is from the beginning of the level, but also looks almost exactly like one of the prototype images seen here. Citing the similarities to him, he said he might try and make another image with a different position and note. He also said to send any details I wished to a 'team' like I had suggested earlier. I sent all the e-mails to Simon Wai, IceKnight and Hivebrain. The next morning, I had received another e-mail. Finally, he had decided to release a video, but with a lot of obnoxious text running all over it. No doubt about it, this was the real deal! 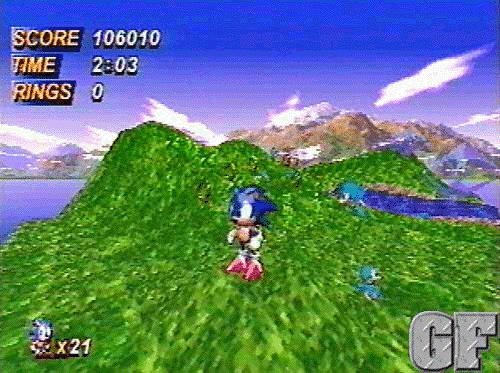 It had him booting up the SEGA Saturn, and playing through a little bit of a level, jumping around, collecting rings, and watching the score counter increase. The background music was Collision Chaos Good Future, and looked very VERY early. I asked what he was hoping for this priceless item, suggesting incredibly low prices in comparison to what he wanted at a minimum: $1,000 US. The bidding started, with the price rapidly going up. At it's peak, it reached $2,500 US. The Sonic secrets community, headed by Local H, had decided to rally up enough money in order for the community itself to buy it. Nearing its goal, an unknown person calling himself "Ratman221" came out with a bid for $3,000, and said he would take donations from the Sonic community to cover costs, and make copies of the game for those who donate. The community hailed the saviour for his generous deed, or so they thought! Nobody knew who Ratman was. He had given out AIM names, but both ended up being false. It was getting suspicious, and the auction ended just before the Tokyo Game Show, a day later. Once the auction had ended, Ratman came out and said he was nothing but a phony, trying to rattle cages in the Sonic community as payback for an unknown "crime". The community was devistated. TheRedEye however, has mentioned that the anonymous buyer has good capturing equiptment, and will be releasing a video. Currently, there have been screen captures made, but no video. For more infomation, check the Sonic Hacking Information Treasury for more details.